Clinic Synopsis: The clinic purpose is to introduce a specific methodology for developing the ability to pre-audiate (ala Colwell) target pitches that might actually be moving as the pitch center of the ensemble moves slightly higher or lower. Of course, the best accuracy occurs when the target doesn't move. Clinical information regarding previous research findings will be presented. Then, application of the specific the methodology, which involves singing, will be introduced as utilized in real-life situations. Clinician Biographical Information John C. Carmichael has been director of bands and professor of conducting at the University of South Florida since 2007. He graduated from Florida State University (1974), USF (1985), FSU (1994). Prior to 1989, Dr. Carmichael served as director of several Florida school bands, the most recent being Lakeland High School which appeared twice at the Midwest Clinic and was awarded the Sudler Flag of Honor. He was president of CBDNA Southern Division and has been a member of the NBA executive board. His research on the 1926 Donaueschingen Festival band music has been widely cited. His bands have performed numerous conferences and have been regularly involved in commissioning projects. He is in demand as a conductor, and clinician throughout the United States. 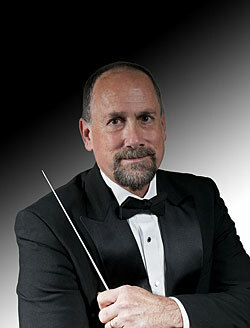 Recently, he founded the Florida Wind Band for which he serves as conductor and artistic director.